Syntel Company Career Jobs Opening 2018-2019 Various Associate/Senior Associate Job Posts Download Application at www.syntelinc.com Syntel Career Job has Recently Announced 2018 regarding Associate/Senior Associate & Various Job Openings Interested and Eligible Candidates can Download Application Through Official website. Syntel Career Walk-in Drive Freshers/Exp || BBA/BCom/MCom/MBA - Apply Now. 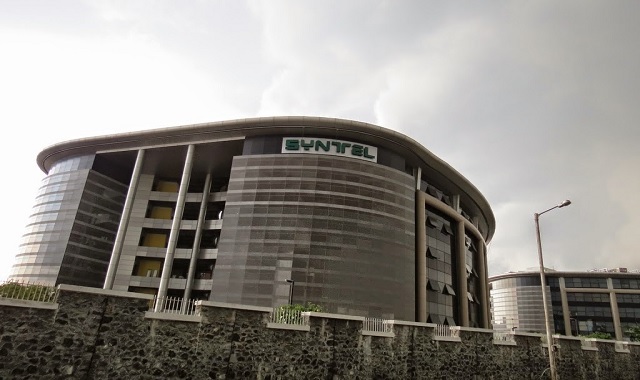 Syntel, Inc. (NASDAQ: SYNT) is a global provider of Information Technology (IT) and Knowledge Process Outsourcing (KPO) solutions, with global development centers in India and the United States.Syntel was founded in Troy, Michigan in 1980 with an initial investment of $2,000. Its founders were Bharat Desai,who received an MBA in finance from Stephen M. Ross School of Business, University of Michigan and a Bachelor of Technology degree from the Indian Institute of Technology (IIT) Bombay, Mumbai, India, and Neerja Sethi. Originally named Systems International, the company began providing software staffing services to local corporations, earning $30,000 in its first year. Initially the major clients tagged to Syntel were General Motors(US), and other major Government Revenue projects. Career Oriented Energetic experienced candidates for a promising career in the field of Finance & Accounts. Minimum 1 year of relevant experience in (/Reconciliation/ Capital markets/ Mutual funds/ Derivatives/ Equities/ Financial Analyst/ Fixed income/ Payable/ Receivable Or 1 year of experience as a trader/broker/dealer/Bolt operator. Corporate Action experience/knowledge would be added advantage. Willingness to work in Night Shifts is must. Candidate those have done thier BBA/ B.com/M.com/MBA Finance can apply. Candidate pursuing thier UG and PG not Eligiable. Candidate from Western & Central Locations do not apply for the position. Please refer below the location that can't apply for the job. Western: CHURCHGATE to DAHANU ROAD. Central: CSMT to MATUNGA & VANGANI To KASARA. Airoli Mindspace, 2nd Floor, Mumbai.